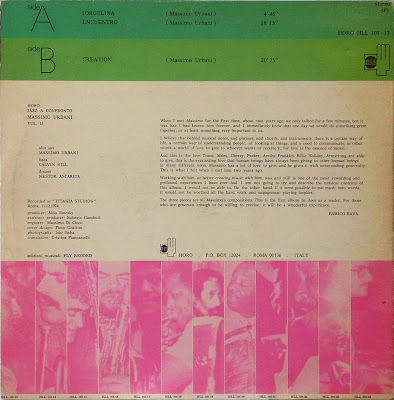 In 1973 Enrico Rava plays in Rome, with Bruce Johnson, Chip White and John Abercrombie, the same ones with whom he recorded the beautiful "Katcharpari" for BASF, and on that occasion that he knows Massimo Urbani. The encounter with this amazing little boy who plays the alto sax, marks the future musical choices of Rava and, once back in New York, he decides to call him to play in his new quartet, with Calvin Hill and Michael Carvin, projecting the young saxophonist in an international dimension, for attitudes and repertory. 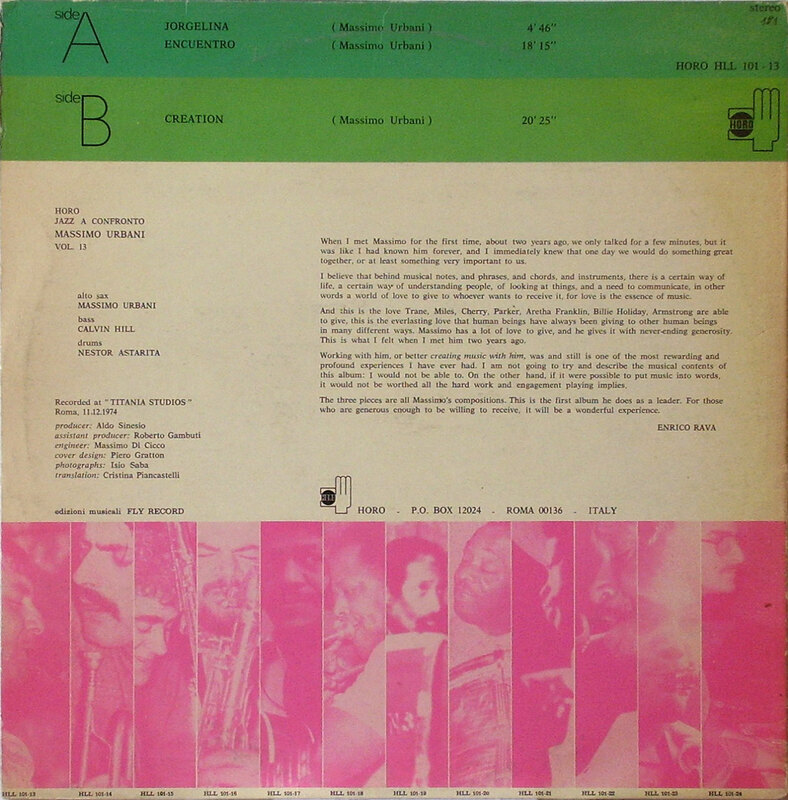 The quartet plays for fifteen days at the Saint James Infirmary, the Club of Roswell Rudd and in the summer of 1974 Rava leads the group on a European tour which would have provided for a ECM recording, but that did not ever. 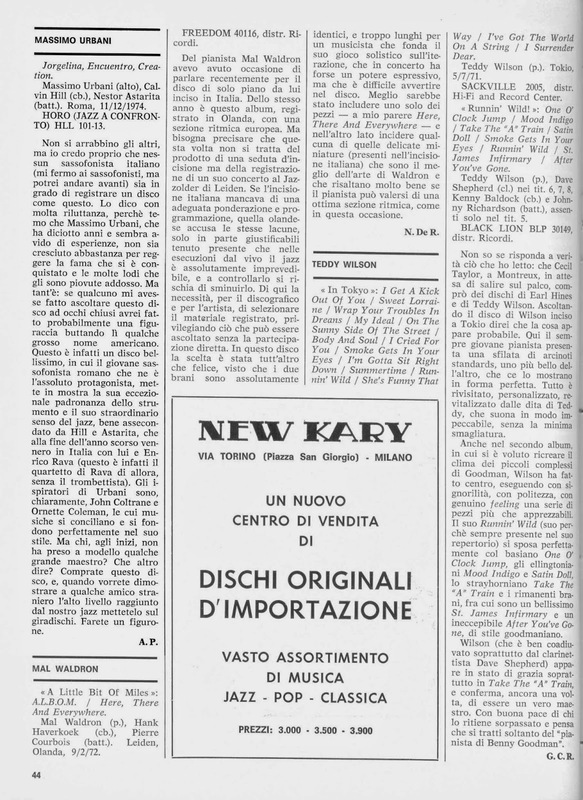 A few months later, Enrico Rava back in Italy, with Nestor Astarita on drums, replacing Carvin. 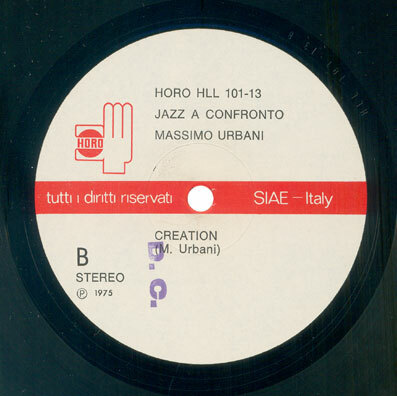 That quartet, today, is almost forgotten, although their music is recorded in a historic LP, out of the market for years, the volume 14 of the Jazz A Confronto, the next. "It was a group with few rivals in the world : they mastered by sovereign security the most advanced forms of jazz's language, enriched with a large sign, melodic and virile ... their music was bold but solid, dense and intensely lyrical, and the two soloists improvised with the sound-form, making it hot, aggressive, ironic and, above all, free." (Marcello Piras). Just days before the recording of that historic quartet, Aldo Sinesio decides to record the brilliant roman saxophonist, with the same rhythm section, but without Rava. 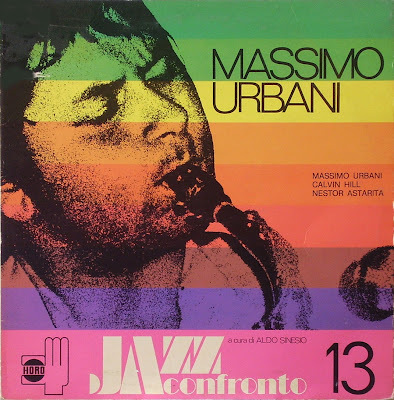 Probably, this is not the best record Massimo Urbani, but this is the first recording as a leader, and remains a memorable page. 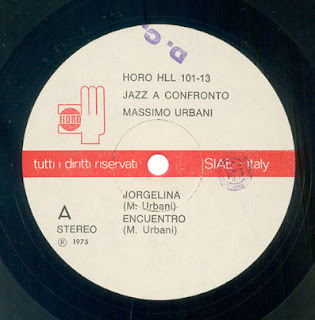 A1) Jorgelina (M. Urbani) - 4'46"
A2) Encuentro (M. Urbani) - 18'15"
B1) Creation (M. Urbani) - 20'25"
This rare album of HORO, was published some time ago on Weirdope, who writes what he goes to, when he goes to ... is for this reason that I'm more precious this post with a movie, rare as this LP: Massimo Urbani nella Fabbrica Abbandonata, by Paolo Colangeli. Tante grazie per Lei. Dopo divorzio ho l'occasione per audire musica jazz d'Italia. Ho perso tutti i miei dischi. Un disco che ho ascoltato molto, anche se allora mi sembrava un po' ostico, e' incredibile ritrovarlo disponibile su questo blog . Grazie, you made my day! If you like this blog, you may consider a donation to cover the expenses. 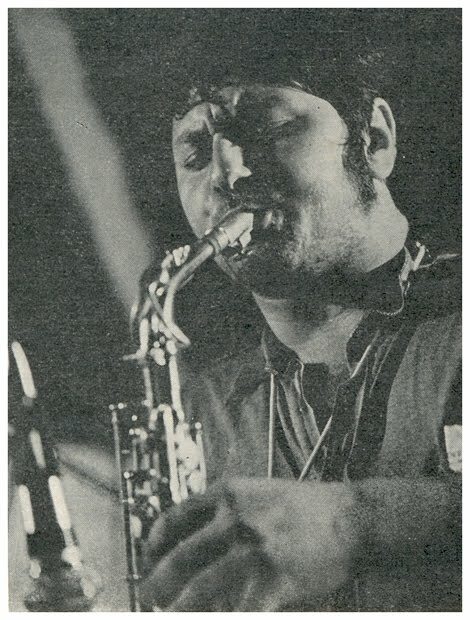 In this blog you will find only great jazz music, recorded on vinyl, never re-issued on CD and now, out of print. But if you have the copyright to one of this albums, and you think that it's no right to share it, please write me a m@il, to have it removed!